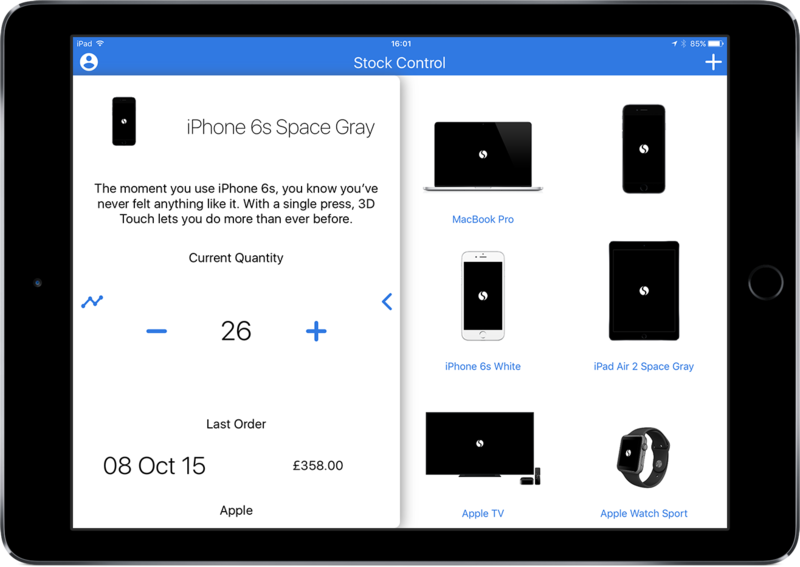 Split view allows you to view your products and product information at the same time on one screen. Use the order adjustment buttons to quickly adjust the item quantity. 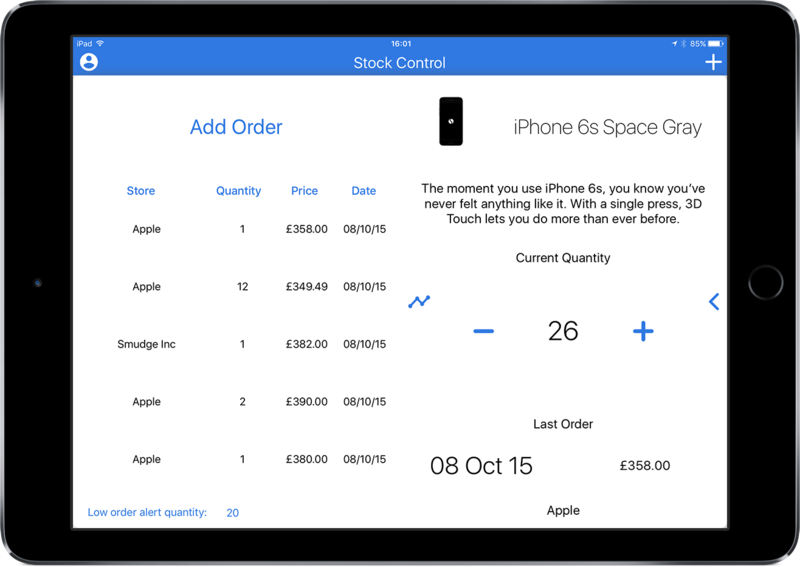 Drag the split view further to view the analytics for your full order history for each product. Check the date, quantity, price and location of your last order and quickly compare pricing and performance. 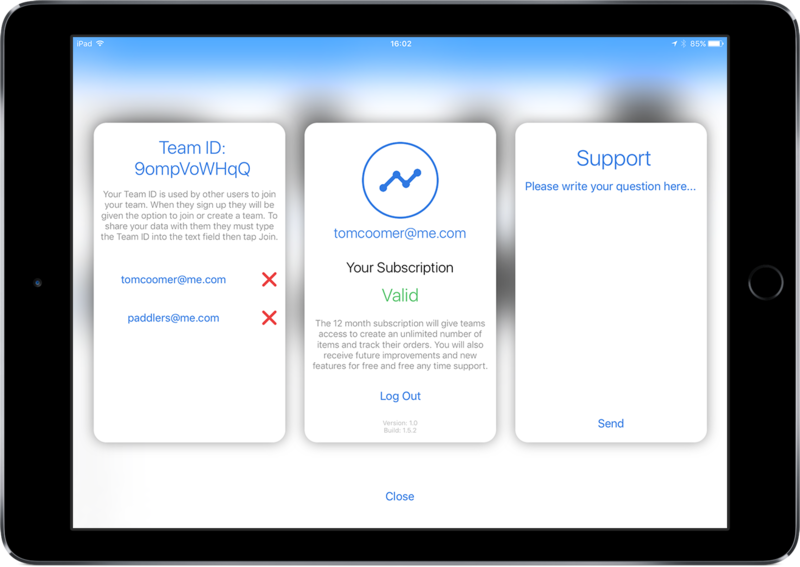 Manage your team from within the app to allow your stock data to sync across all of your team member's devices through the cloud. This means every team member has the most up to date information as soon as a change is made. 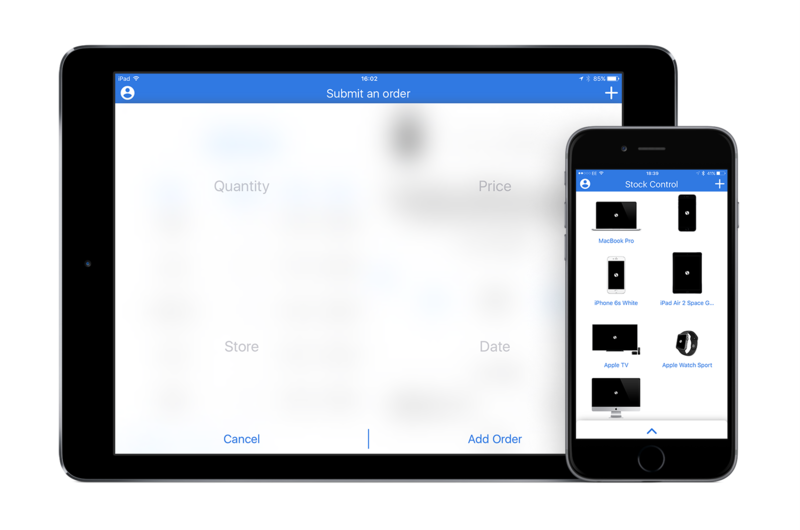 Record all of your order history within the app from your tablet or phone. The low stock alerts will send a notification when a product quantity is low to make sure you will never run out again. The alert quantity can be customized for each product.